If you’re Brazilian, you’ve heard of Globo, the affectionate nickname for Organizações Globo - the largest mass media group in Latin America. Launched in 2000, Globo.com is responsible for the online distribution of all the content produced by Organizações Globo. 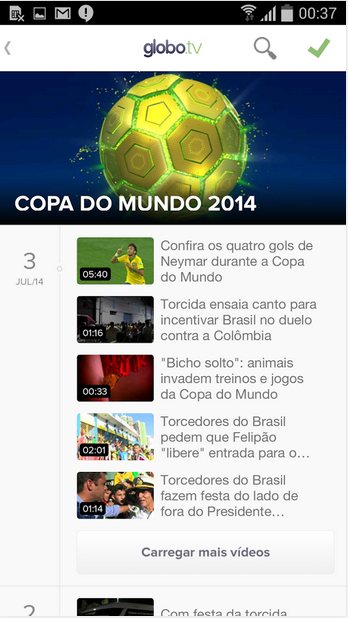 Globo.com is one of the largest portals in Brazil, attracting nearly 51 million unique visitors per month (ComScore Media Metrix – August, 2013). The portal offers content based on three pillars: Sports, Entertainment and Journalism - categories in which they are as the leader of audience (ranking of unique visitors per month). Globo.com includes websites such as G1, Globoesporte.com, Ego, Paparazzo, Techtudo, Receitas.com and Big Brother Brasil. Mobile was next on their agenda. 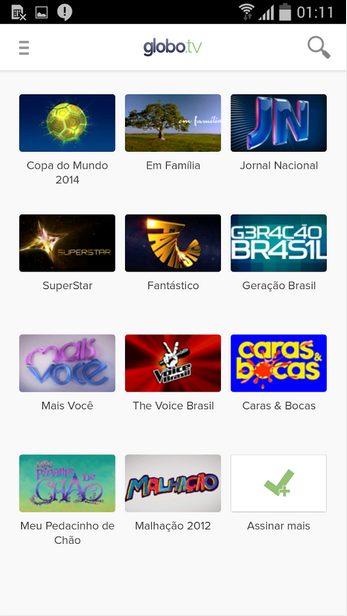 After the successful launch of an iPhone application - Globo.com wanted to provide access to even more users. They wanted an Android application with video on demand capabilities. As the iPhone application was already available, it was important that the Android mobile experience looked and felt the same - keeping their brand consistent, and the user experience seamless across all the mobile platforms. We always followed ThoughtWorks and consider the company a benchmark in agile software development - aligned with the values of Globo.com. We received a high quality product within the time expected, which fully meet our expectations. Agile software development practices have been in place at Globo.com for many years: they needed a partner who was Agile and who had Android development capabilities. They called ThoughtWorks. Deploying a poly-skilled team - ThoughtWorks set about working with Globo.com to build the native Android application from the ground up, keeping the user experience carefully aligned with the iPhone application along the way. User experience and continuous delivery were paramount throughout the project; working with daily releases to beta users to ensure accurate feedback was key. 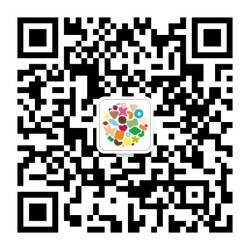 Within just 16 weeks the Android application was complete. As the fastest growing mobile platform among our users, it was essential to have an Android app in the market with a rich experience that is consistent with our brand. Learn more about how Continuous Delivery can help you.